Are you worried that the 26 different apps that show up when you want to “share” something with your Android device weren’t quite enough? Skype has you covered. They have just released Skype 2.6 for Android, and one of its major features is the ability to send documents, photos and video. All kidding aside, it’s great that this feature has been added. Skype for PC has been capable of the same for years, so it was a bummer that the Android app couldn’t do it as well. 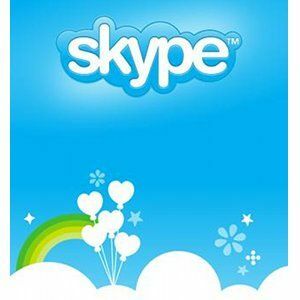 For some people, Skype 3 Must-Have Skype Apps To Enhance Your Chat Experience 3 Must-Have Skype Apps To Enhance Your Chat Experience Skype is a free video and audio chat client that is available for many different platforms, including Windows, Mac, Linux, iOS, and Google Android. One reason Skype has been so successful is that besides high... Read More has more or less taken over as the mobile messenger of choice. It’s convenient that files no longer need to be sent separately via SMS or an email. What else is new? There’s been some code enhancements made, like improved video quality for phones and tablets equipped with Tegra 2. This translates to good things for Android Honeycomb tablets The 3 Best Android Tablets Available Today That A Buyer Should Check Out The 3 Best Android Tablets Available Today That A Buyer Should Check Out While the iPad was able to jump on the tablet market before anyone else, Android tablets from competitors are starting to flow like water. There’s now a wide variety of options available and many of... Read More and a few high-end smartphones. Skype has also “whitelisted” the HTC Amaze 4G and the Motorola Droid Razr as officially supported. This is a minor update overall, but one that was needed. File sharing is an important feature for any instant messenger. Heck, I can even share files with Kakaotalk Never Pay For Texting Again With Kakaotalk [Android & iOS] Never Pay For Texting Again With Kakaotalk [Android & iOS] Read More . It was a little weird that Skype couldn’t do the same. Explore more about: Skype, VoIP. so, how did the test go?